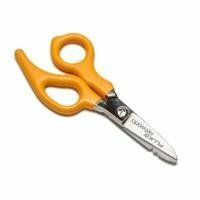 Electrician's Scissors & Cable Splicer's Knife Set - Tempered Steel Electricians Scissors and knife for any job. Case Qty: 72 This item does not ship to APO/FPO addresses. 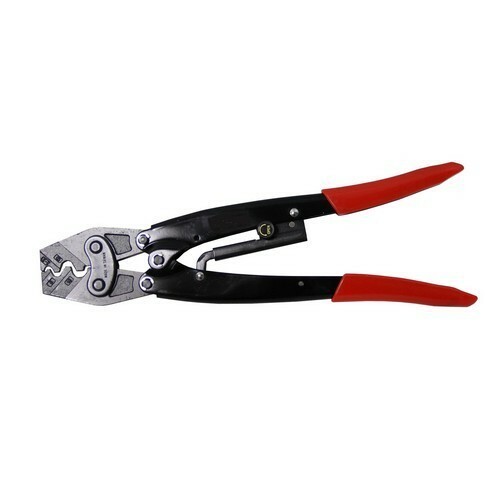 8-1/4" WIRE STRIPPER & CRIMPER Lean nose design plier pulls & loops wire Cuts and crimps 10-22 AWG wire Precision ground cutters for cutting wire Cuts bolt sizes: 10-24, 6/32, 8/32, 10/32 & 4-40 Laser etched marking for lasting indication - of wire gauges CHANNELLOCK BLUE(R) grips for comfort Made in the USA 908 CHNLOK WIRE TOOL SIZE:8-1/4"
500 Piece Terminal Kit with Controlled Cycle Crimp Tool - This Multi Piece Terminal Assortment has all the connectors, terminals and the Crimp Tool you'll need. 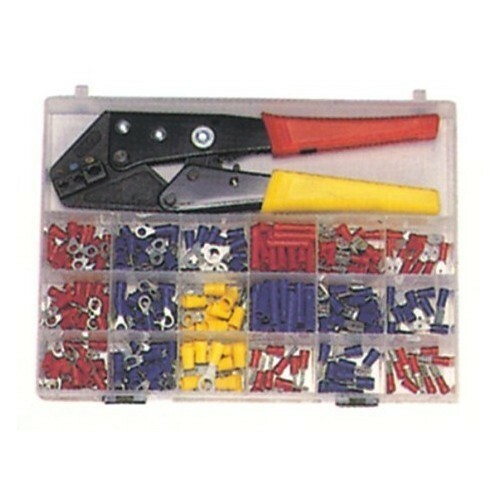 Professional Modular Crimpier, Striper, & Cutting Tool, Ratcheting Type. - For Crimping Modular Plug: 8P8C/RJ-45, 6P6C/RJ-12, 6P4C/RJ-11, 4P4C & 4P2C Plugs & Dec/Off set Plug-6P6C. 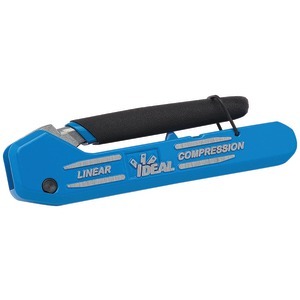 - Straight motion and precision crimping. 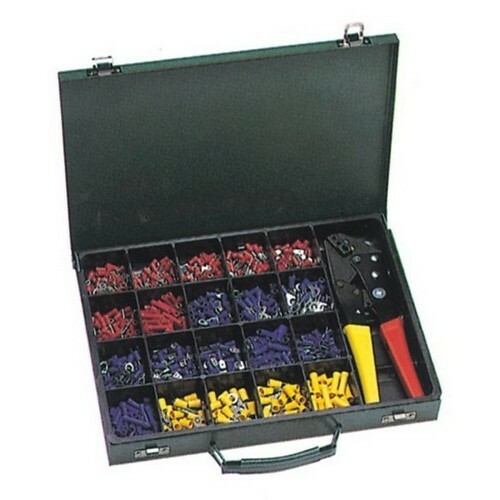 - Cuts, strips, and crimps all kinds of modular plugs without changing modular (die) set. - More in one for crimping Solid & Stranded wire. - Work with all standard plugs: AMP, SS, AT&T license etc. - Made of metal, rigid and durable. 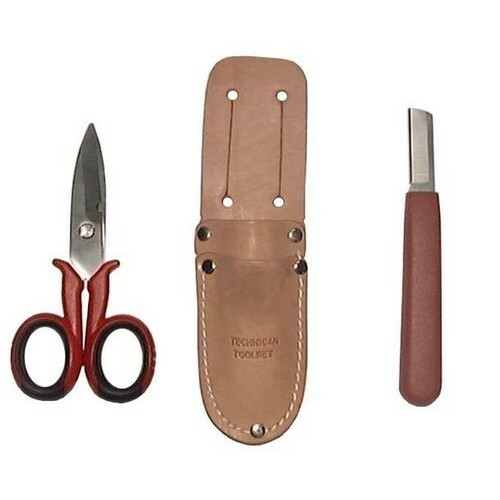 - Built-in cutter on rear side and stripper on front side. 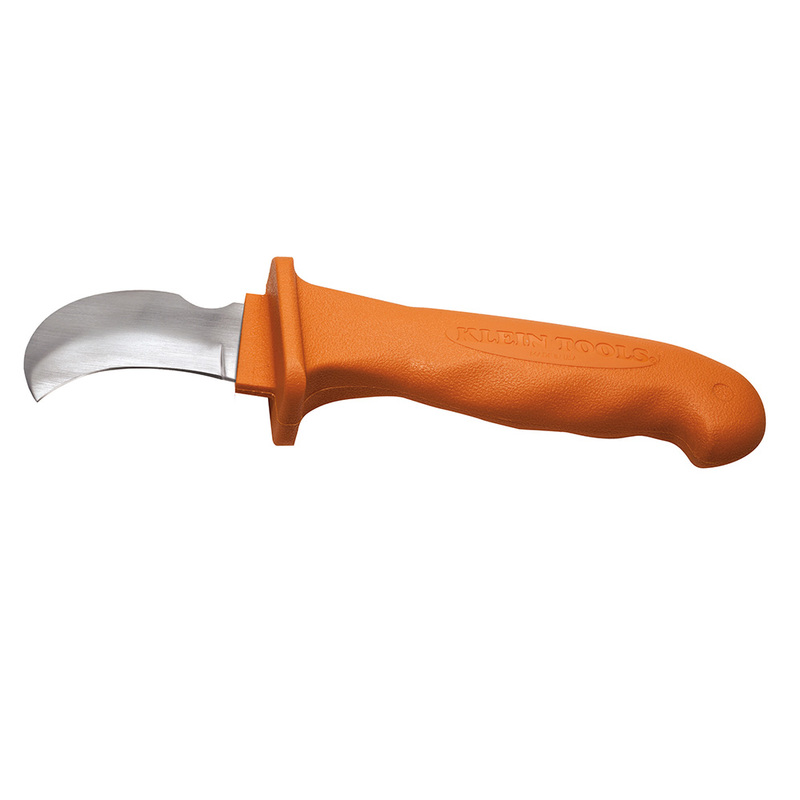 Professional Modular Crimpier, Striper, & Cutting Tool. - Designed with 8 position punches for crimping the ordinary 8P8C plug, which has no additional cavity on each side. - Parts are all made by metal. All are rigid and durable. - Work with all standard plugs: AMP, SS, AT&T license etc. Made of metal, rigid and durable. Built-in cutter on rear side and stripper on front side. 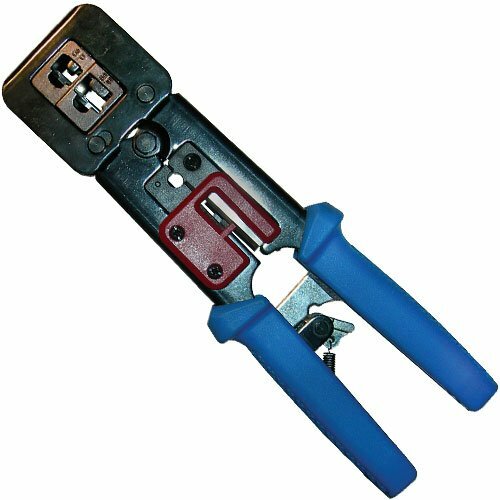 The Platinum 100054C EZ-RJPRO HD Crimp Tool is designed for the professional installer demanding consistent, reliable and repeatable terminations, every time. 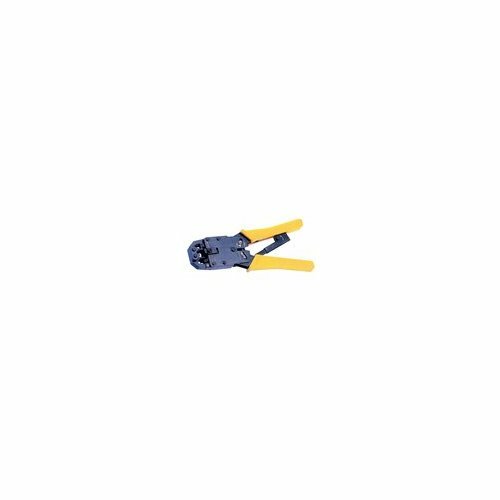 This heavy duty tool is the perfect solution when working with high performance, larger wire gauges, thicker, harder insulation and pair separating splines. Overcome these connectivity obstacles and be assured that every termination will meet FCC specifications. It's compatible with all EZ-RJ45 and EZ-RJ12/11 Connectors as well as all standard modular plugs, except AMP. The ratcheted, high leverage and stable platform allows this tool to create consistent, repeatable terminations. 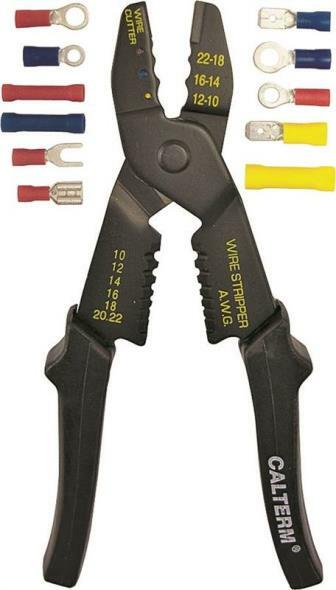 The patented "crimp and trim system" delivers a clean, flush trim on the extended conductors for all EZ connectors. 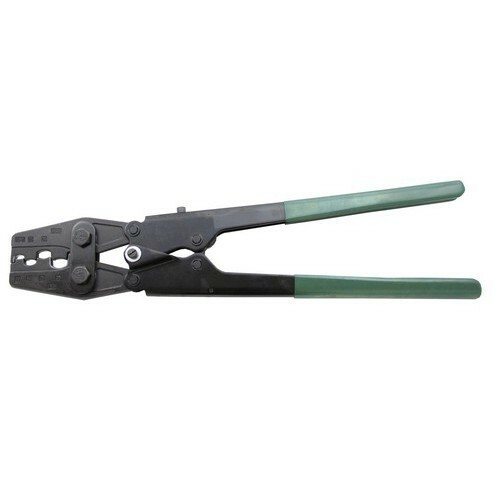 The zero flex frame prevents torque loss while the tool die head assembly provides 360 degrees of connector support. Full surface to surface contact delivers uniform crimp force. 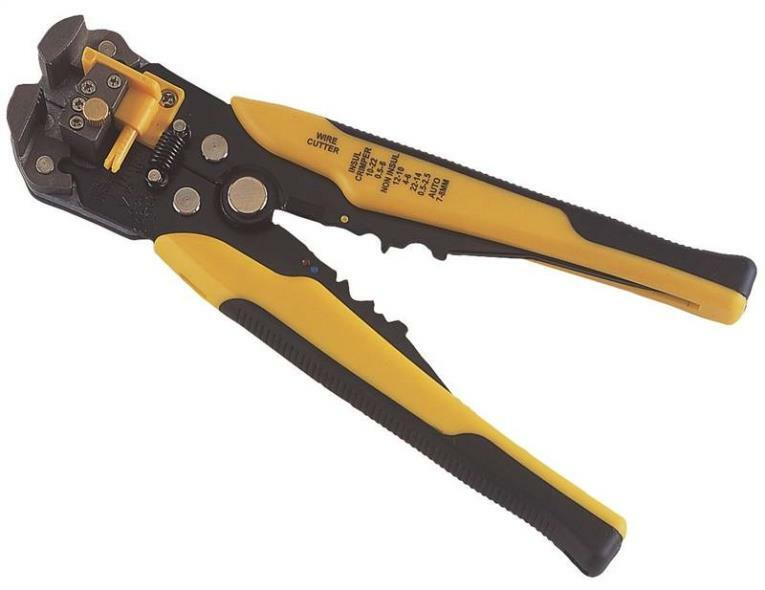 The 100054C has a built it cutter for flat and round cable, a built in stripper for round and flat cable and it's laser marked with a wiring guide for proper wire sequence. 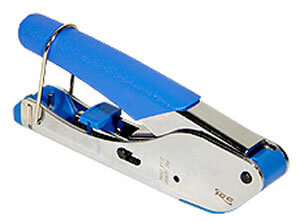 Ratcheted, high leverage and stable platform for consistent, repeatable terminations>Patented "crimp and trim system" delivers a clean, flush trim on the extended conductors for all EZ Connectors>Tool steel die head assembly provides 360 degrees of connector support>Full Surface to surface contact delivers uniform crimp force>Built-in cutter and stripper from flat and round cable This item cannot ship to APO/FPO addresses. Please accept our apologies. 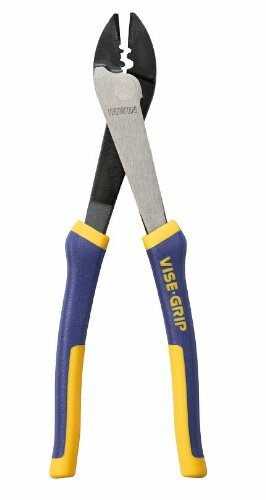 IRWIN CRIMPER WITH PROTOUCH GRIPS�10 IN. 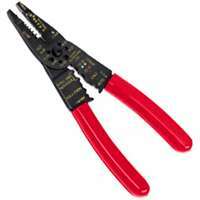 IRWIN CRIMPER WITH PROTOUCH GRIPS�10 IN. 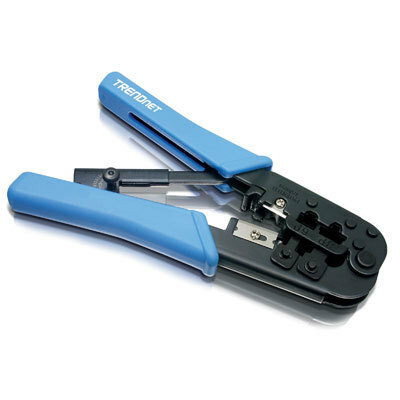 TRENDnet's Professional Crimp Tool TC-CT68 ---For your variety of network needs TRENDnet has a tool specifically designed to maintain network accessories. 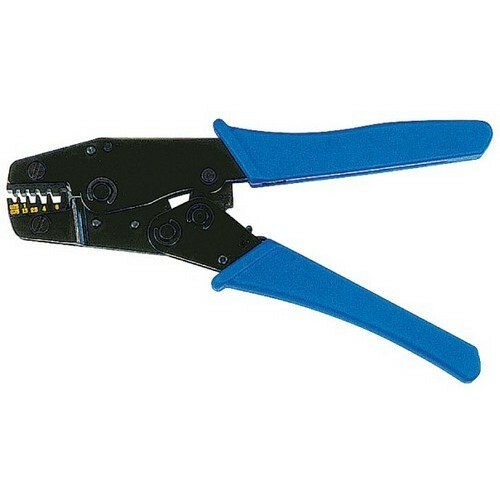 Our professional crimp tool TC-CT68 crimps strips and cuts cable for 8 and 6 position modular plugs. The crimp tool offers reliable easy-to-use and affordable solution to meet immediate cutting needs. 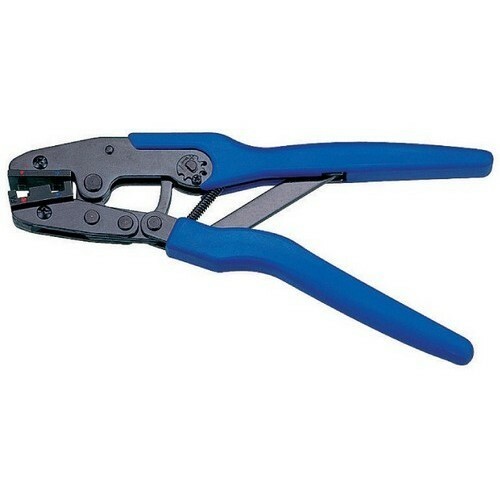 Our professional crimp tool delivers convenience at a very economical price. RoHS Compliant This item cannot be shipped to APO/FPO addresses. Please accept our apologies. 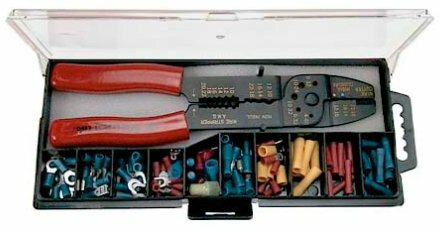 200 Piece Terminal Kit with Controlled Cycle Crimp Tool - This Multi Piece Terminal Assortment has all the connectors, terminals and the Crimp Tool you'll need.